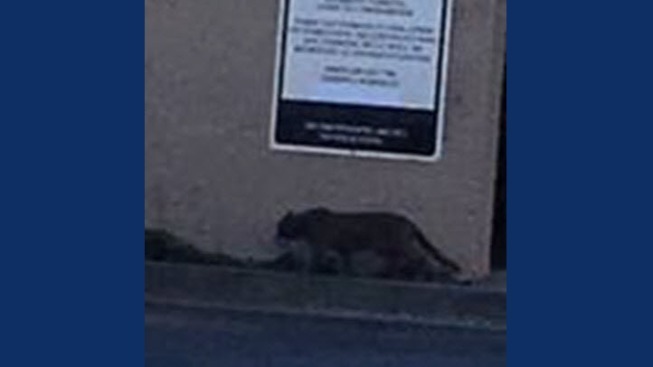 A mountain lion spotted in San Mateo. A mountain lion reportedly spotted in San Mateo this past weekend turned out to be a house cat, officials said Monday. The Department of Fish and Game said after careful analysis of a photo that the animal is a house cat. Authorities said the determination was made after realizing the size of the sign the cat is seen walking past in a photo captured by a resident. The report of a mountain lion in the area 20th Avenue and La Salle Drive on Sunday, prompting police to order residents to shelter in place. Police and DFW officials responded to the area and set up a perimeter for about an hour.